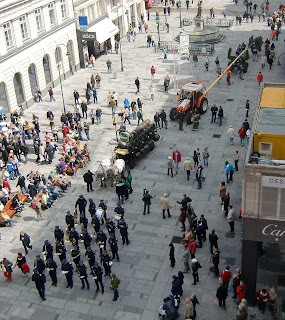 ...we'll come to the city with our maypole and brass band! 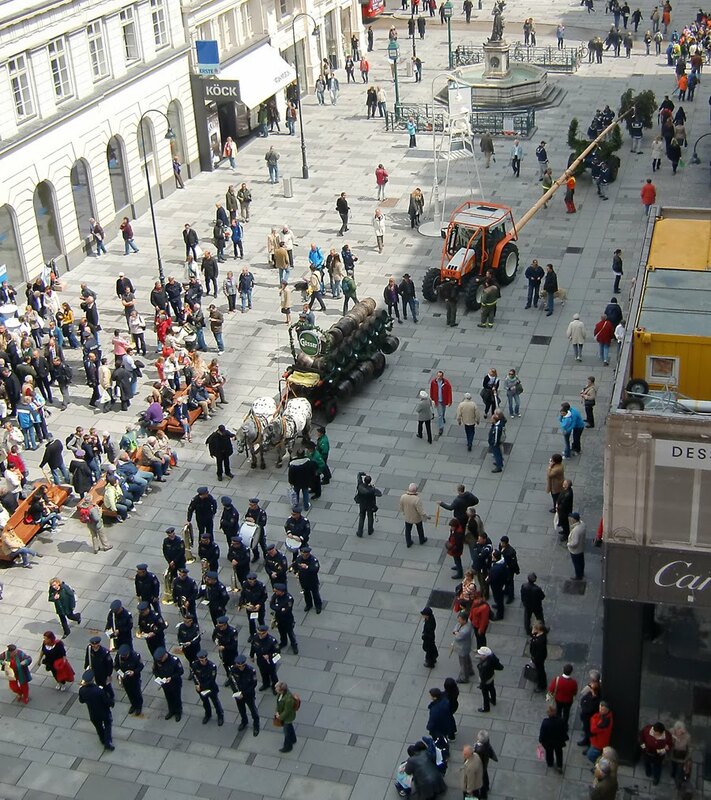 Maypole passing through Graben last Friday. A few minutes after I took this photo, there was a downpour. Poor guys.